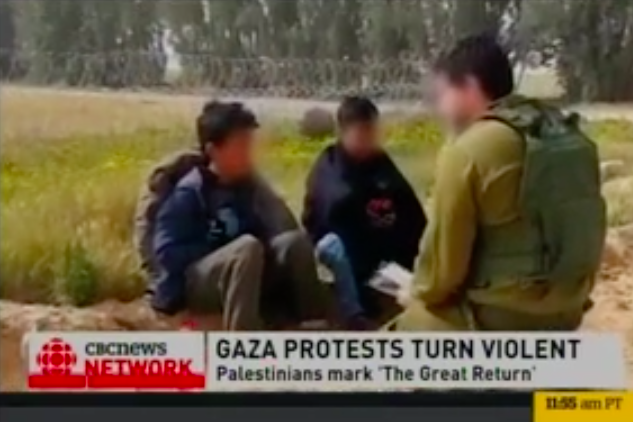 Also on March 30, a CBC television anchor orated a report (click on image below to watch report) at 2:50pm while CBC producers displayed footage showing Israel Defense Forces Soldiers detaining two male Palestinian youth. 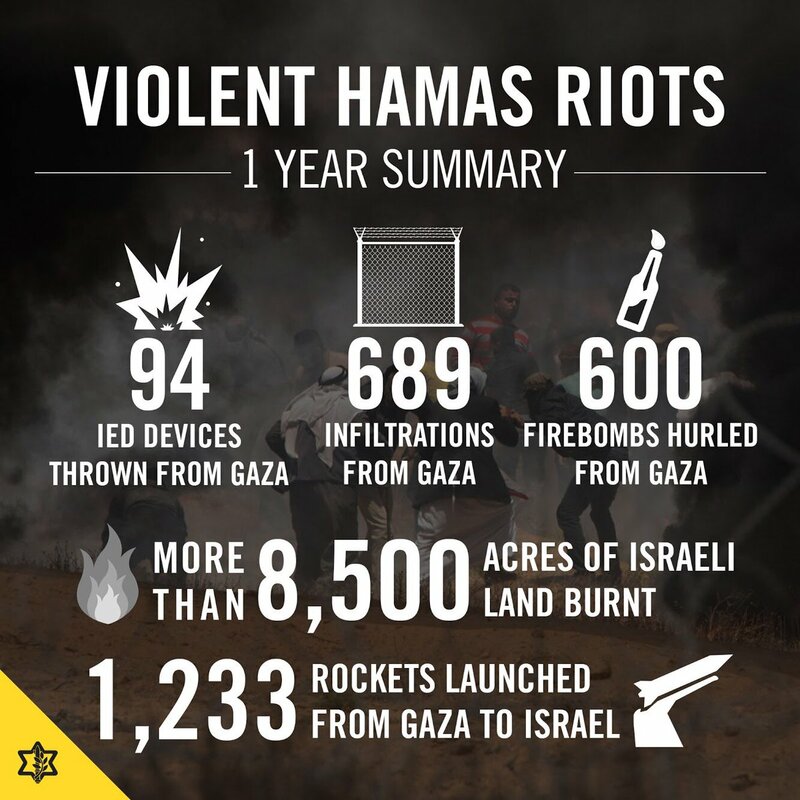 What was untold to CBC viewers was that Hamas had dispatched the two Palestinian eight-year-olds and each had crossed into Israel, with one who was carrying a knife that could have been used in a terror attack. Israel apprehended them and sent them back to Gaza. Importantly, using children in warfare is a violation of the Geneva Conventions and a bonafide war crime.